In my Iman post, I introduced the character of Nek Ramalan. Nek is a short form for nenek, which is the Malay word for grandmother. She’s Rahsia’s biological grandmother, but since Iman grew up with Rahsia (they were neighbours and went to the same school) she also calls her Nek. In other parts of the story, others—including Father Farouk—also refer to her as Nek. To me, it’s because she’s this little old woman who is so beloved in her community that everyone refers to her affectionately as grandma. I don’t know how this will hold up in the long run, though. 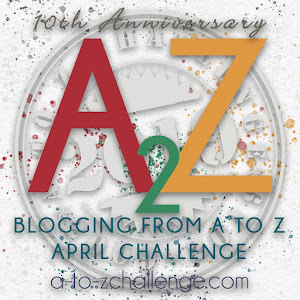 I couldn’t think of anything for O, so I went to look at Rebekah Loper’s The A-Zs of Worldbuilding. O is for Oblectation, which means enjoyment; pleasure. So ... entertainment! This is something that’s not really developed yet in my world, so… wow. Hard thinking here. Lol. What I’d like is for some common Malaysian children’s games to come over, like kali toi, congkak or pepsi cola. Though… the names might have to be changed because they’d make no sense at all. This would probably feature more in Secretkeeper than Absolution, because Tulen in Secretkeeper will be younger and more carefree. By the time she gets to Absolution, she’s too busy fending for herself and trying to stay alive to even think about entertainment. This is also a two-in-one post because I gave up on thinking yesterday.